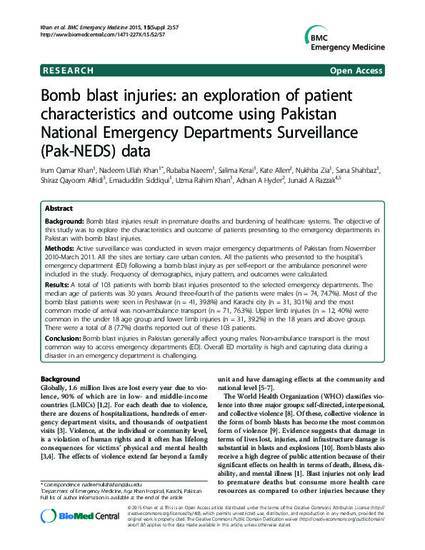 Bomb blast injuries: an exploration of patient characteristics and outcome using Pakistan National Emergency Departments Surveillance (Pak-NEDS) data. Bomb blast injuries in Pakistan generally affect young males. Non-ambulance transport is the most common way to access emergency departments (ED). Overall ED mortality is high and capturing data during a disaster in an emergency department is challenging.